Are you a big fan of Japanese food? Have you ever tried to cook donburi? Donburi is a Japanese comfort meal – a bowl of steamed rice with toppings such tofu, cooked vegetables, meat or seafood and crunchy salad all in one meal. And, of course, my recipe is vegan-friendly. 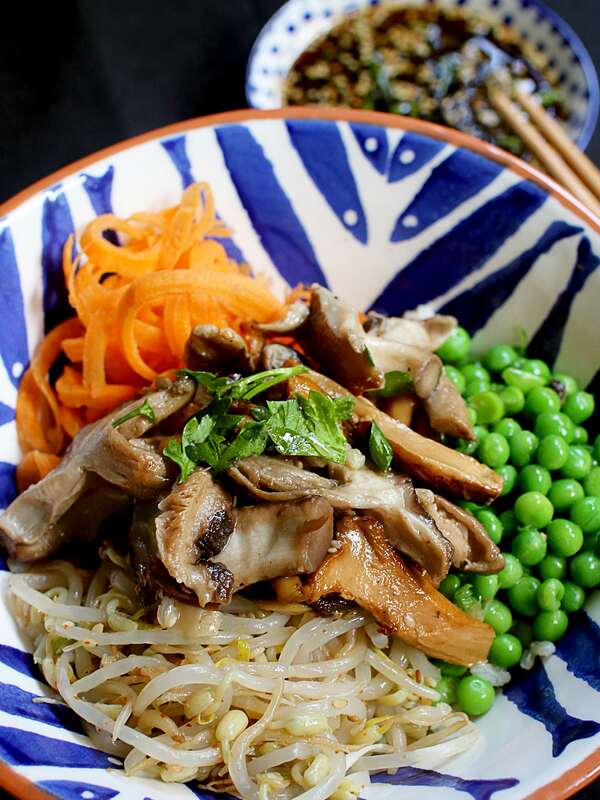 Try my wild mushroom donburi (rice bowl), it only takes 15 minutes to prepare and it’s super tasty. Donburi is normally served with white rice, but I swapped it to brown rice for a healthier option. Heat the oil in a pan, then add the minced garlic and fry for 2-3 minutes until the garlic turns a slightly golden. 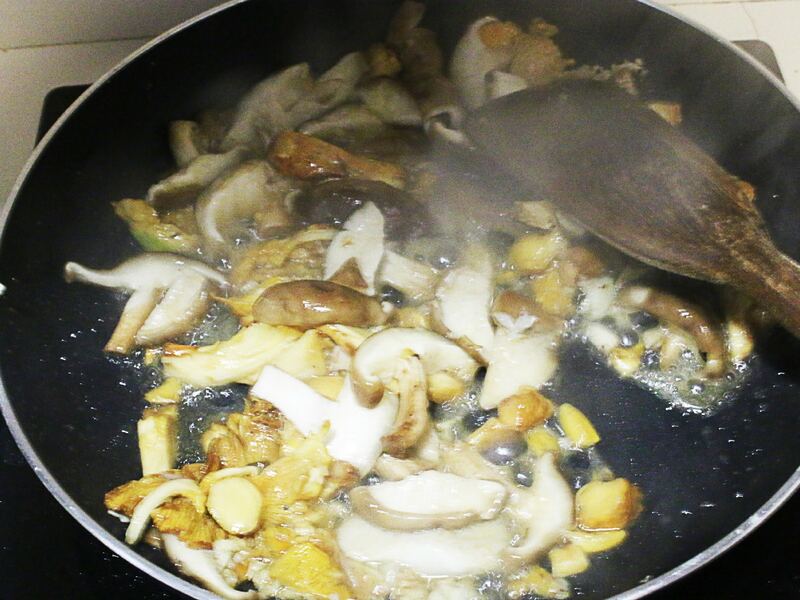 Add the wild mushrooms and stir-fry for 2-3 minutes. Pour in the soy and Teriyaki sauce, simmer for a few minutes, or until slightly thickened, then place in a small bowl and set aside. Combine all sauce ingredients in a small bowl and mix well, set aside. 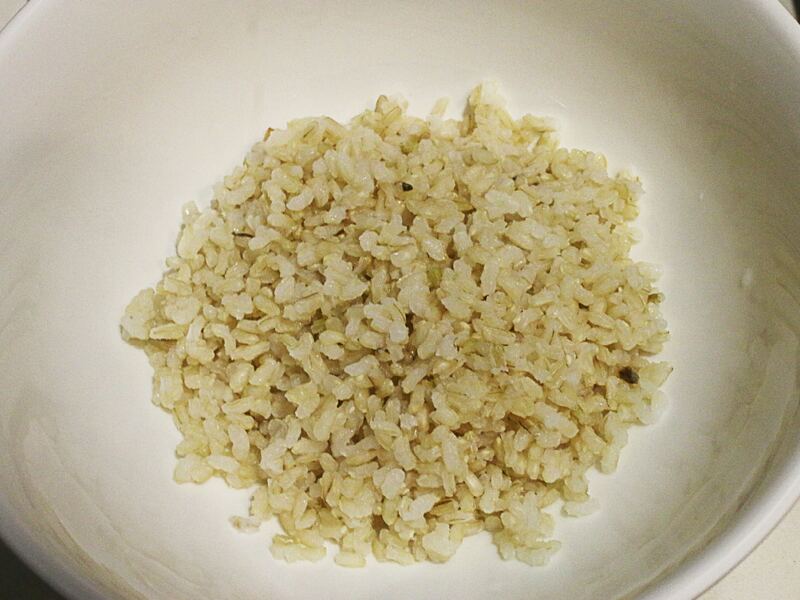 Place 150g brown rice in the middle of your serving bowl. Place green beans, bean sprouts and carrot on top of the rice. Leaving the centre clear. 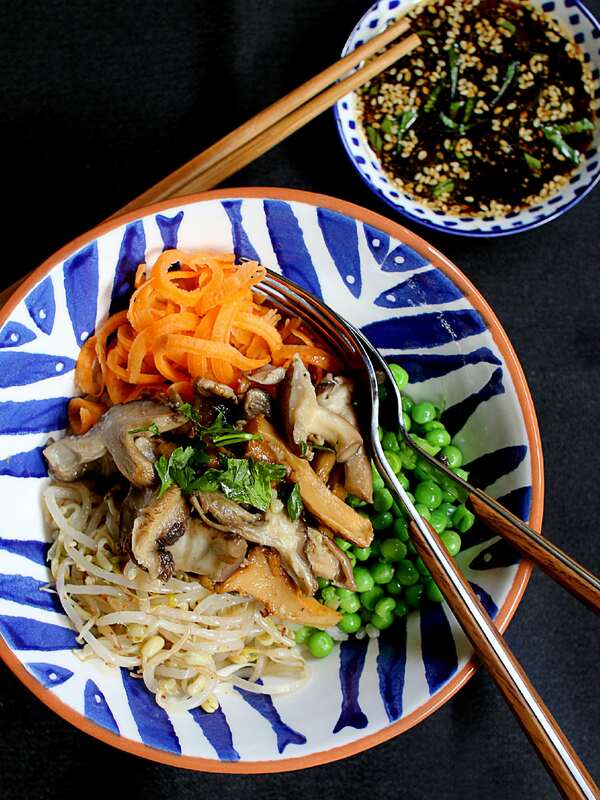 Place the teriyaki wild mushrooms in the middle and sprinkle the coriander on top, serve with the sauce. I use ready-cooked rice for this recipe, it is very convenient and hassle-free if you are only cooking for 1 or 2 people, especially brown rice which takes forever to prepare. However, if you prefer freshly cooked rice, please feel free to cook your rice from scratch. Heat the oil in a large, non-stick frying pan, add the minced garlic and fry for 2-3 minutes until the garlic turns slightly golden in colour. 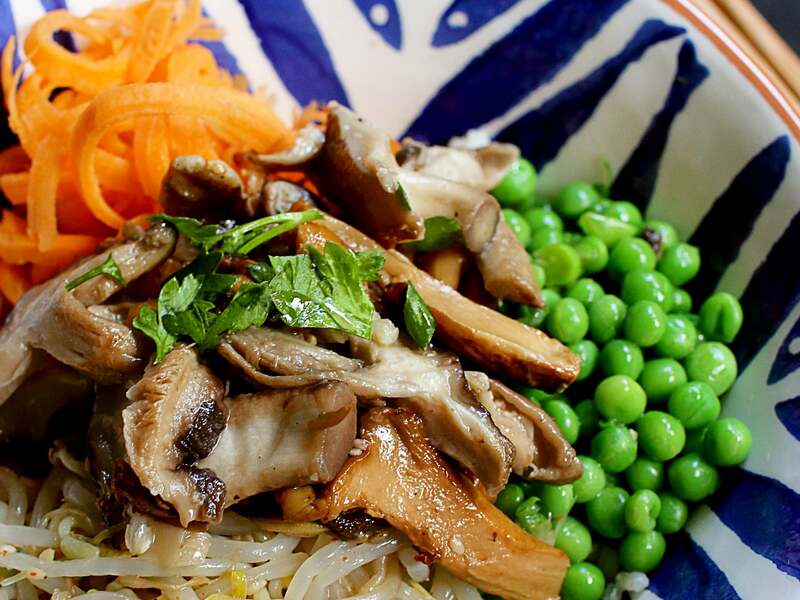 Add the sliced shiitake mushrooms and stir-fry for 2-3 minutes. Pour in the soy and Teriyaki sauce, simmer for a few minutes, or until slightly thickened, then place in a small bowl and set aside. 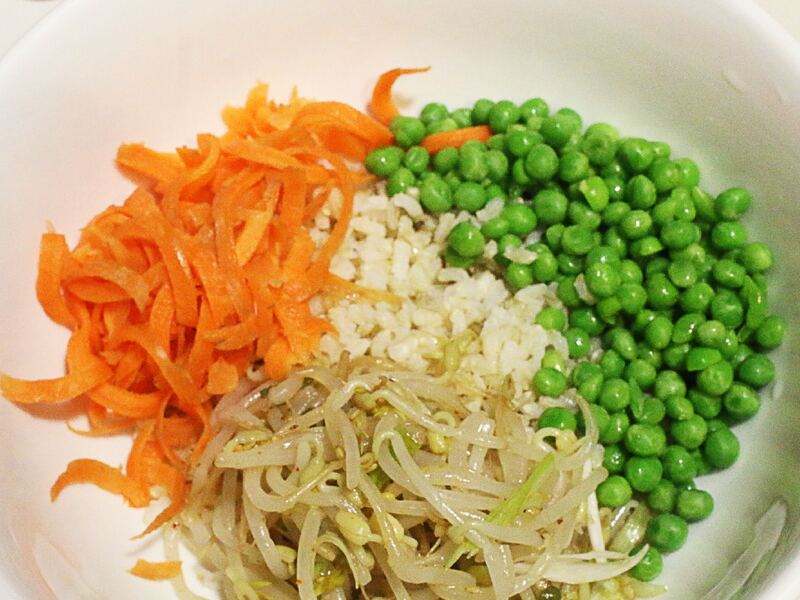 Place 150g rice in the middle of your serving bowl then place green beans, bean sprouts and carrot around it. Place the teriyaki shiitake mushrooms in the middle. Sprinkle the coriander on top and serve with the sauce.